It’s not clear when—or if—the hoverbike will become available in the game. 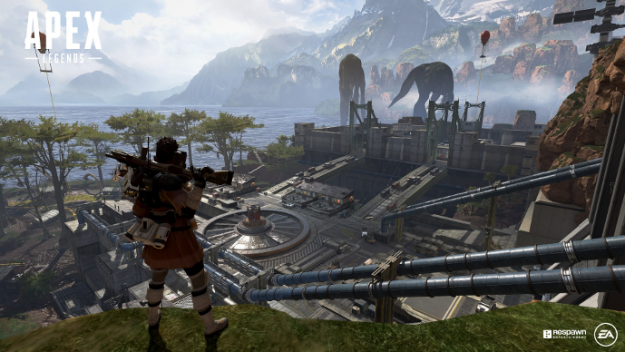 Anyone who has played the hit battle royale game Apex Legends has noticed the numerous vehicles strewn across the battlefield. From trucks to double-cannon tanks, these machines have captured the imagination of many players looking for loot. But as cool as they look, you haven’t been able to drive any of them. They’re nice environmental features, but that’s all they are. Well, that may not be the case for much longer. A data miner running the Twitter page ApexGameInfo has found evidence of a hoverbike in the game’s files. The bike seems to be fairly thought out, with defined physics and ideas for spawn points. From that, it seems like something that developer Respawn Entertainment could easily add to the game. Vehicles have become pretty standard additions to battle royale games, from PUBG’s cars to Fortnite’s planes. The fact that it’s specifically labeled a hover bike is also interesting. That implies that the bike will be a high-speed vehicle that ignores certain terrain features, like water. The game already features a lot of mobility tools: Players can use things like ziplines, portals, and launch balloons to move around the map quickly. Even steep walls and cliffs can be scaled rather quickly. It’s unclear when the bike was added to the game files. The latest patch released today made no mention of it. It’s mystery when—or if—Respawn plans to make this vehicle a playable part of the game.